A LITTLE INSANITY WITH THAT ORDER? Just as in most Hollywood stories, especially the ones with the happy endings, there’s unexpected twists and turns along the way. 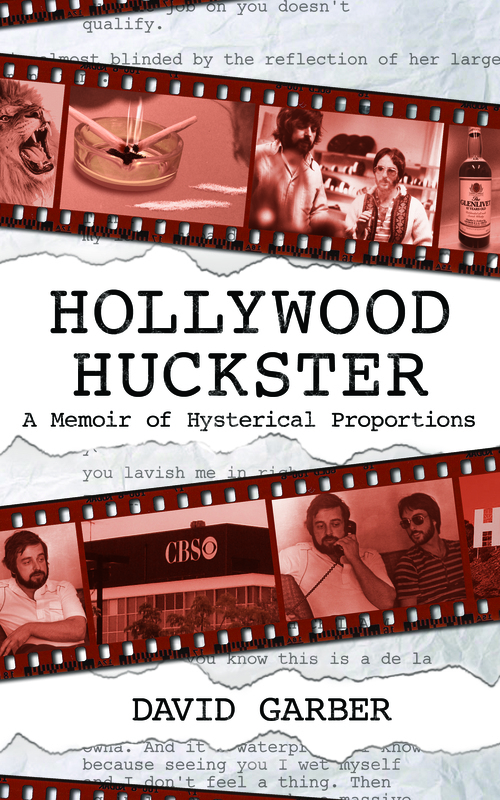 And so it is with HOLLYWOOD HUCKSTER – A Memoir of Hysterical Proportions. Yesterday it became Amazon’s number one downloaded biography & memoir. It started simply enough — an anniversary party where a young guest asked me how I got my start in the entertainment business. And I told him a few humorous anecdotes before we sat down to dinner. An hour later he called back and revealed that he was a junior agent at a large literary agency. He had shared my true and extraordinary tales with his boss. They discussed it and wanted me to write a tell-all book for them, and they would represent it. And so came my next 10 months of labor– Reliving some amazing adventures of a man who didn’t know the line between genius and insanity. It was the mid ’70s when he and I met. The pot-smoking, acid-dropping, counter-culture students of the turbulent ’60s were bringing their skewed comedy, irreverent attitudes and anti-establishment views to America via Hollywood. The lunatics started running the asylum. And one of them pushed the envelope more than anyone else of that era. He was Kevin Hartigan, the most infamous industry player you’ve never heard of… until now. His is the quintessential Tinsel Town cautionary tale. And so now you know what lies ahead if you’re interest is piqued. He’d be quoted as saying, “I’d give my left testicle, assuming the right one could function for both, if you’d drop by and pick up a copy.” I hope you’ll take him up on that offer.